As I tried to decide whether to take the bus or subway back home after doing some Christmas shopping, the answer was easy. The bus stop was right there in front of me and the subway station was a good 10 minute walk farther in the biting cold Seoul winter. Obviously, I would take the subway home. I could continue reading my book on the subway. I always got nauseous and dizzy when I tried to read on the bus. One of the high school students in my school came up to me a month ago telling me I just had to read this really good book. I never heard of the book before and told her to bring me a copy of it if she really wanted me to read it. 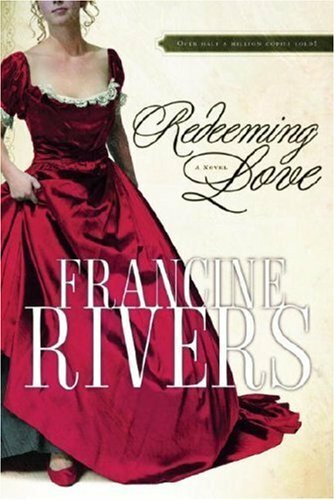 The next day, she found me and brought me a copy of the book, Redeeming Love by Francine Rivers. I saw it and thought immediately, I don’t have time to read it. It looks too long to read right now. I was in the middle of the book Swallow the Ocean and I already had a few other books to read after that. I would run into the student in the hallways afterwards and she would ask me if I read the book yet. I would tell her not yet, but I would read it soon. So finally, I am on vacation and I started the book on Friday. I just finished the book last night. It was one of those books I just couldn’t put down, even though the ending was predictable. It was a story about how powerful love can be. It was a story about an unconditional love that forgives, frees and redeems. What books are you reading now? Do you have any good book recommendations? 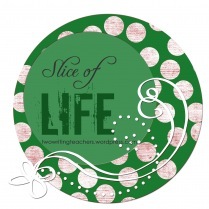 For more slice of life entries, go to two writing teachers!